Please note that this current website does not have a shopping cart. 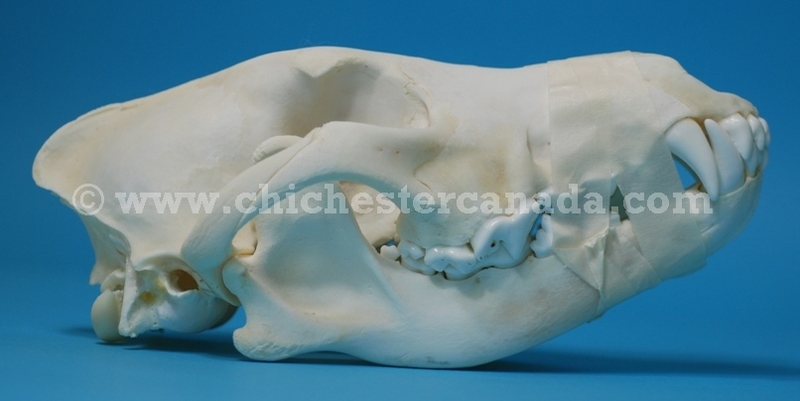 To buy our Wolf Skulls online, please go to our e-commerce website at NaturalExotics.ca. These real timber wolf skulls are approximately 24 cm (9.5") long, 12.5 cm (5") wide, 10 cm (4") tall. They are professionally cleaned, and may or may not have the jaws glued together.